Where culture meets the coast. Just a few hours by road from Bangkok, Hua Hin is Thailand's oldest beach resort and home to the royal summer palace since the 1920s. There's an air of gentility along with a quiet ambience, long sandy beach and vibrant night market. 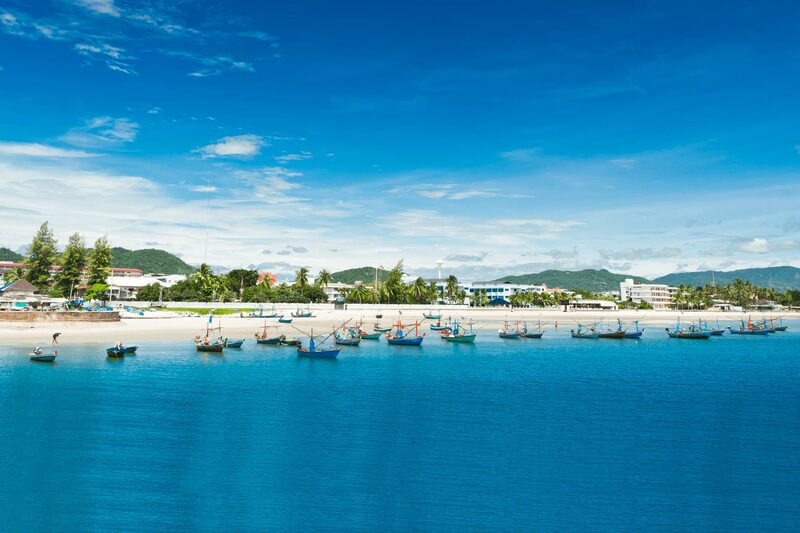 Neighbouring Cha Am is a sleepy little fishing village which is famed for its fresh seafood and relaxing atmosphere. 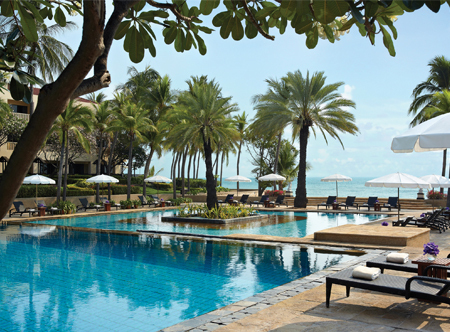 Equally popular with young couples and families, tourists and Thai's, Hua Hin features a beautiful, powdery sand beach which is flanked by a range of good value hotels, luxury resorts and world-renowned spas. With three miles of attractive beach it's a delightful place to relax and unwind. 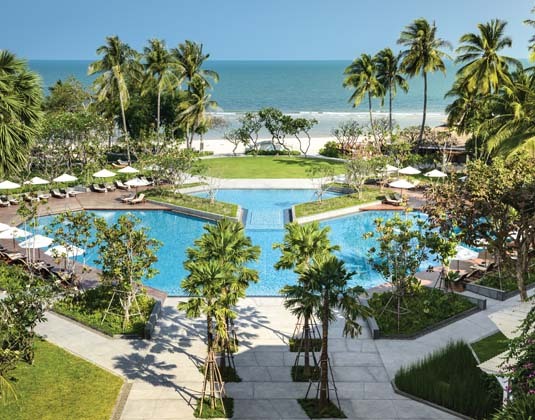 While Cha Am may not rival Hua Hin for facilities, it is home to a long casuarina-lined beach, calm turquoise waters and a laid-back atmosphere. Away from the sand there's much to see and do. Maruekhathayawan Palace is one of the most attractive royal palaces in Thailand; dating back to 1923 it offers a real glimpse of Thailand's royal past. Equally impressive is the striking architecture of the Hua Hin Railway Station, one of the oldest in the country, whose main feature is the Royal Waiting Room. Within easy reach is Pala-U Waterfall which has water cascading down several tiers amid impressive jungle, or alternatively take a day trip to Sam Roi Yot National Park. For sports enthusiasts, Hua Hin is regarded as one of the finest golfing locations in Thailand with numerous top quality courses all within a 30 minute drive. Hua Hin's vibrant night market is not to be missed, with countless outlets selling freshly cooked food as well as colourful stalls brimming with local handicrafts, souvenirs and clothing. Alternatively visit Hua Hin Floating Market which is more upscale with many shops on the banks of a small, meandering man-made river; or Hua Hin Artist Village which has galleries of arts and antiques. 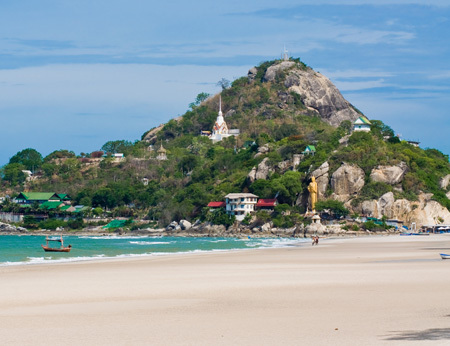 Kui Buri is half an hour's drive south of Hua Hin and is a peaceful, underdeveloped area home to numerous fishing villages and a gorgeous stretch of virgin beachfront. Within an hour's drive of the resort is the little-visited Kui Buri National Park, which protects around 300 wild elephants - the largest concentration in Thailand. 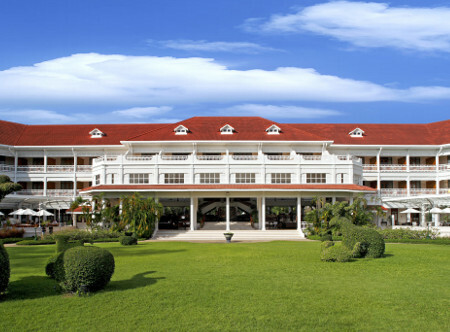 Why visit Hua Hin, Cha Am & Kui Buri? 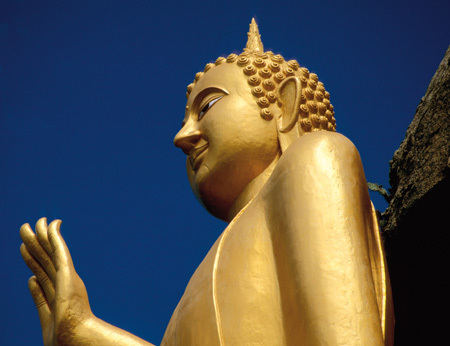 Call and speak to one of our travel experts who have experienced Hua Hin, Cha Am & Kui Buri personally. 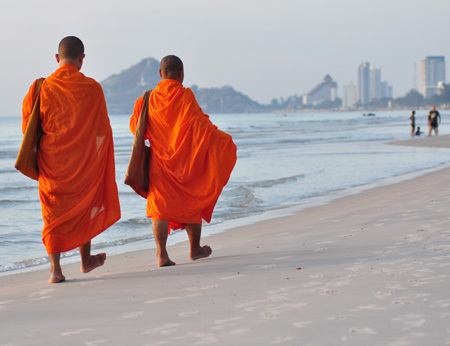 There are no direct flights from the UK to Hua Hin and Cha Am. From Bangkok the transfer by road is approximately 2 hours 30 minutes, while Kui Buri is 3 hours. 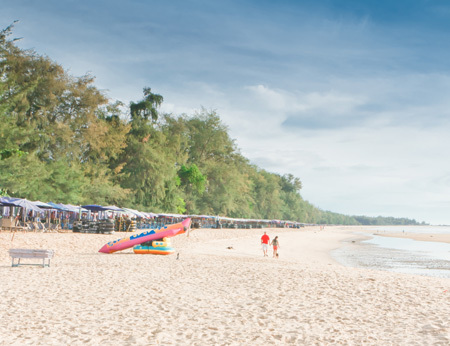 Hua Hin and Cha Am’s central location give it three distinctive seasons, with some of the lowest rainfall in the country. The dry season runs from November to February, the hot season extends from March to June and the rainy season lasts from July to October. Rain usually occurs mid-afternoon and doesn’t tend to last too long.